Only a Parking in the near of the Lico di Spina. A lot of Restaurants around – in the Summer with loud Music – in the Winter could be a good Place to stay longer. This Articel was read 434 times! 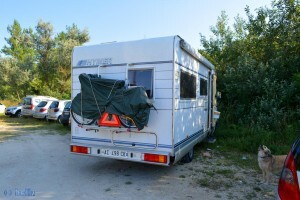 Dieser Beitrag wurde in Countries, Free Camping - Wild Camping, GPS, Italy, Travel-Facts veröffentlicht und mit CampingCar, Coast, Emiglia Romagna, Free-Camping, Freistehen mit dem Wohnmobil, GPS, Italia, Italien, Italy, Küste, Lido di Spina, Mediterranean Coast, Meer, Mittelmeer, Motorhome, Parking directly at the Beach, Reise, Reisen, Reisen im Wohnmobil, Reisen im Womo, Reisen in Italien, Reisen in Italien mit dem Wohnmobil, Reisen mit dem WoMo in Italien, Travel, Travel in Italy, Travel with a Camping Car, Travel with a CampingCar, Travel with the Camping Car in Italy, Travel with the CampingCar in Italy, Travel with the Motorhome, Travel with the MotorHome in Italy, Unser Camper, Wild-Camping getaggt.